“Mockup” means a 3D model and/or a multi-layer computer file in the PSD or TIFF format made available through the Platform, with or without scripting, that is designed for integrating user images (such as user’s corporate identity) with the object depicted in the Mockup or any other image we may make available to you through Yellow Images Object Mockups Marketplace. “Asset” means a computer file created and uploaded by an Author to the Platform using the Service or otherwise made available by us on the Website, which computer file may refer to a product mockup, a font, a template, a photograph, a 3D object, a video, an audio file, an addon, a UI/UX kit, or any other file that we may make available through Yellow Images Creative Store or through Creative Fonts. “Object” means an animated object in the MOV format and/or a number of images of a single object taken from different camera angles that we make available through the Platform as a collection from which you may extract individual images. “Preview” means single-layer low-resolution preview images of a Product, and any specifications, the description, or any other information that may accompany the Product. “Website” means our website accessible through https://yellowimages.com and all of its subdomains and subdirectories, however accessed. Different countries have different, often mutually exclusive, laws and rules. While the Platform is designed to be used by people worldwide, it is primarily directed at individuals and entities located in Canada. It is not directed at any person or entity in any jurisdiction where, by reason of nationality, residence, citizenship or otherwise, the publication or availability of the Platform, Products or Service, are banned, restricted or otherwise contrary to local laws or regulations. If this applies to you, you are not authorized to access or use any of the information on this Platform. We do not guarantee that anything on the Platform, including Products, meets the requirements and regulations as they may exist outside Canada, or that the Service and Products will be available outside Canada. If you choose to access this Platform from locations outside Canada, you do so at your own risk and assume all responsibility for compliance with applicable local laws. The Platform, Products and the Service are not intended to be used or consumed by children and minors without involvement and approval of a parent or guardian. If you are under the age of majority (19 years old in British Columbia), you may use the Platform only if you have the consent of your parent or guardian. To use the Platform, the Service, or Products, you will need to have an internet connection. You are responsible for any costs you incur to access the internet. Products and the Materials are protected by Canadian and international copyright, trademark, and other intellectual property laws. You agree that we or our licensors own, control and retain all rights in and to Products and the Materials. No right, title or interest in Products or the Materials is transferred to you as a result of your accessing, downloading, printing, viewing or otherwise consuming Products and the Materials. Unless we claim ownership of a particular Product, the Products are owned by their respective Authors, not by us. With respect to such designs, we simply provide a Platform to make such Products available to you as part of the Service. and our other names, logos and taglines are our trademarks. Your use of the Platform or Products does not grant you a license or otherwise confer any rights to use these trademarks. Trademarks of third parties as they may be used on this Platform are the property of their respective owners. Authors may use the Platform to make their own Products available to other Members. You may not download or otherwise use Products. You may only view and otherwise access Previews as intended through the provided functionality of the Platform or the Service. You may only view or otherwise access such Previews for informational purposes or for the purpose of making the decision whether or not to become a Member and download the corresponding Product. Furthermore, you shall not create, recreate, distribute or advertise an index of any significant portion of Products or Previews unless authorized by us in writing. In addition, you are strictly prohibited from creating derivative works or materials that otherwise are derived from or based on Previews, Products or the Materials, including montages, mashups and similar videos, audio tracks, merchandise, unless we have expressly permitted it to you in writing. This prohibition applies even if you intend to give away the derivative materials free of charge. You shall not either directly or through the use of any device, software, internet site, web-based service, or other means remove, alter, bypass, avoid, interfere with, or circumvent any copyright, trademark, or other proprietary notices marked on Previews, Products or the Materials, or any digital rights management mechanism, device, or other content protection or access control measure associated with Previews, Products or the Materials, including geo-filtering mechanisms. As a condition of us allowing you to access and use the Platform, Service and Previews, you warrant to us that you will use the Service, Previews and the Platform only for lawful and appropriate purposes. Please choose wisely what User-Generated Content you post, publish, transmit or submit. Please limit yourself to User-Generated Content that is directly relevant to Products or Service. You must not post, publish, transmit or submit User-Generated Content that is unlawful, infringing, pornographic, obscene, defamatory, libelous, threatening, harassing, vulgar, indecent, profane, hateful, racially or ethnically offensive, encourages criminal conduct, gives rise to civil liability, violates any law, rule, or regulation, contains any harmful or malicious code, virus, worm or trojan, infringes any right of any third party including intellectual property rights, or is otherwise inappropriate or objectionable to us (in our sole discretion). Your User-Generated Content must not contain links to any other websites, images or destinations that are unlawful, infringing, pornographic, obscene, defamatory, libelous, threatening, harassing, vulgar, indecent, profane, hateful, racially or ethnically offensive, encourage criminal conduct, give rise to civil liability, violate any law, rule, or regulation, infringe any right of any third party including intellectual property rights, or are otherwise inappropriate or objectionable to us (in our sole discretion). You must not improperly claim the identity of another person or pretend to be another person. You must be, or have first obtained permission from, the rightful owner of any User-Generated Content you choose to post, publish, transmit or submit. By posting, publishing, transmitting or submitting User-Generated Content, you represent and warrant that you own the User-Generated Content or otherwise have the right to grant us the license provided below. You also represent and warrant that the posting, publication, transmission or submission of such User-Generated Content does not and will not violate any right of any party, including privacy rights, publicity rights, and intellectual property rights. In addition, you agree to pay for all royalties, fees and other payments owed to any party by reason of you posting, publishing, transmitting or submitting such User-Generated Content. We will remove all User-Generated Content if we are properly notified that such User-Generated Content infringes on another person’s rights. To the extent permissible under applicable law, you also hereby waive any and all moral rights that you may have in connection with your User-Generated Content, in Canada and elsewhere. You hereby authorize us to determine in our sole discretion whether or not to use your name as you used it when you posted such User-Generated Content in association with the use of such User-Generated Content. You hereby represent that you would not object to anonymous use of your User-Generated Content or to an indication of your name as you used it when you posted such User-Generated Content in connection therewith. This election is a complete and exhaustive exercise by you of your moral rights to be recognized as the author of the User-Generated Content and to be associated with the User-Generated Content. You also hereby represent and warrant that you shall not consider any modification or other use of the User-Generated Content to be causing damage to your dignity or reputation. This license will be perpetual and will continue for at least as long as such license is necessary for us to use User-Generated Content in the manner described above, except that in certain cases, you may retain, through the functionality of the Platform, an option to control who can view certain of your User-Generated Content or to remove specific instances of such User-Generated Content. If we provide you with an option to remove some of your User-Generated Content and you exercise that option before any person or entity further shares such User-Generated Content with others, then we will cease any future use of such User-Generated Content. We do not have an obligation to make such an option available to you. We will not have the obligation to cease using your User-Generated Content if by the time you choose to remove it, it had already been reproduced or shared by others. restrict or terminate your ability to access areas where you can post, publish, transmit or submit User-Generated Content or the Platform in general. Despite these restrictions, please be aware that you may find some User-Generated Content provided by users or Members to be objectionable, unlawful, inaccurate, or inappropriate. We do not endorse any User-Generated Content, and such User-Generated Content does not reflect our opinions or policies. In no event do we assume any responsibility or liability whatsoever for any User-Generated Content or for our failure or refusal to take any steps directed at removing such User-Generated Content from the Platform, and you agree to waive any legal or equitable rights or remedies you may have against us with respect to such User-Generated Content. You may notify us of such objectionable, unlawful, inaccurate or inappropriate User-Generated Content by sending us an email at support@yellowimages.com. Whether or not we moderate the User-Generated Content, it will be the person who posted the objectionable User-Generated Content who will be solely responsible for such User-Generated Content. You are not allowed to gather information about our Members, including email addresses, from the Platform through harvesting or automated means. You are not allowed to post, publish, send, transmit or submit unauthorized or unsolicited advertising, promotional materials, or any other forms of solicitation to other Members, including in the form of User-Generated Content. You are not allowed to post, publish, send, transmit or submit bulk communications to our Members, including in the form of User-Generated Content. If you would like to place your advertisement on the Platform, direct your inquiries to business@yellowimages.com. Nothing in these Terms is to be construed as constituting a partnership, joint venture, or employment relationship between you and us or between you and any Member. When we are acting as an agent for an Author, we do so for the limited purposes of entering into a License with Members on behalf of the Author. Outside of such limited agency, nothing in these Terms is to be construed as constituting an agency relationship between you and us or between you and any Member. Except when we are acting as an agent for an Author, neither you nor us can bind each other in any way. You are solely responsible for your interactions with other Members, including Authors, whether online or offline. You agree that we are not responsible or liable for the conduct of any Member or anyone who otherwise accesses the Platform or uses the Service. We reserve the right, but assume no obligation, to monitor or become involved in disputes between you and other Members. For your convenience, we may provide links to various other websites that may be of interest to you and for your convenience only. The links to third party websites are provided as a convenience and are for informational purposes only. We do not endorse, and are not responsible for the accuracy or reliability of any information, data, opinions, advice, or statements contained within such linked websites. such third-party website or destination is operated by a company or an individual affiliated or otherwise connected with us. We do not endorse, are not responsible and we cannot be held liable for advertisements of any third-party material posted on the Platform, nor for any products or services provided by advertisers. Any dealings you have with advertisers found while using the Platform are between you and the advertiser, and you agree that we are not liable for any loss or claim that you may have against an advertiser. If you decide to link to any Products offered through the Platform from other sites, you must link to a page with a Preview and not directly to an image or file hosted on Yellow Images. That includes no "in-line" linking methods resulting in images hosted on Yellow Images being displayed on other sites. You must not "frame" any Yellow Images pages by surrounding those pages with someone else’s content, materials or branding. We reserve the right to insist that any link to the Yellow Images be discontinued, and to revoke your ability to link to the Yellow Images. WHILE WE DO OUR BEST TO PROVIDE THE OPTIMAL PERFORMANCE OF THE PLATFORM AND THE SERVICE, YOU AGREE THAT YOU USE THE PLATFORM, THE SERVICE AND THE PRODUCTS AT YOUR OWN RISK. THE SERVICE, THE PLATFORM, THE MATERIALS, AND PRODUCTS ARE PROVIDED TO YOU ON AN “AS IS”, “AS AVAILABLE”, AND “WITH ALL FAULTS” BASIS AND, TO THE FULLEST EXTENT PERMITTED BY LAW, ARE PROVIDED WITHOUT WARRANTIES OF ANY KIND, EITHER EXPRESS OR IMPLIED. WITHOUT LIMITING THE GENERALITY OF THE FOREGOING, WE AND OUR AFFILIATES, SUCCESSORS, AND ASSIGNS, AND EACH OF OUR OR THEIR RESPECTIVE INVESTORS, DIRECTORS, OFFICERS, SHAREHOLDERS, EMPLOYEES, AGENTS, AND SUPPLIERS (INCLUDING DISTRIBUTORS AND CONTENT LICENSORS) (COLLECTIVELY AND INCLUDING US, THE “YI PARTIES”) DO NOT MAKE ANY WARRANTIES OF FITNESS FOR A PARTICULAR PURPOSE, TITLE, MERCHANTABILITY, COMPLETENESS, CURRENCY, AVAILABILITY, SECURITY, COMPATIBILITY OR NON-INFRINGEMENT IN RESPECT OF THE PLATFORM, SERVICE OR THE PRODUCTS. THE YI PARTIES DO NOT WARRANT OR GUARANTEE THAT THE PLATFORM, SERVICE, AND THE PRODUCTS WILL BE UNINTERRUPTED, FREE OF VIRUSES AND OTHER HARMFUL COMPONENTS, ACCURATE, TIMELY UPDATED, ERROR-FREE OR RELIABLE. WE DO NOT CHECK EACH PRODUCT FOR CONSISTENCY, ACCURACY OR MANUFACTURABILITY. THERE MAY BE SOME PRODUCTS THAT CONTAIN ERRORS THAT MAKE THEM UNSUITABLE FOR THE INTENDED PURPOSE OR AT ALL. ALL SALES ARE FINAL. YOU UNDERSTAND AND RECOGNIZE THAT WHEN PRESSING THE “DOWNLOAD” BUTTON FOR A PARTICULAR PRODUCT, YOU ARE ACCEPTING THE FILE “AS IS”, WITH ALL RISKS ASSOCIATED WITH IT. WE ASSUME ABSOLUTELY NO RESPONSIBILITY FOR OMISSIONS, ERRORS, INCLUDING WILLFUL DEFECTS, ERRORS AND DEFICIENCIES, EVEN IF THEY MAKE THE PRODUCTS YOU DOWNLOAD UNSUITABLE, HARMFUL, DEFECTIVE OR UNUSABLE. TO THE MAXIMUM EXTENT NOT EXPRESSLY PROHIBITED BY THE LAWS THAT MAY APPLY TO YOU IN EACH SPECIFIC SITUATION, IN NO EVENT SHALL THE YI PARTIES BE LIABLE FOR ANY DIRECT, INDIRECT, PUNITIVE, INCIDENTAL, SPECIAL, CONSEQUENTIAL, OR OTHER DAMAGES, INCLUDING LOSS OF PROFITS, ARISING OUT OF OR IN ANY WAY RELATED TO THE USE OF OR RELIANCE ON THE PLATFORM, THE SERVICE, PRODUCTS, OR ANY OTHER INFORMATION, PRODUCTS, OR SERVICES ADVERTISED IN, OBTAINED ON, OR PROVIDED THROUGH THE PLATFORM, WHETHER BASED IN CONTRACT, TORT (INCLUDING NEGLIGENCE), STRICT LIABILITY, OR OTHER THEORY, EVEN IF YI PARTIES HAVE BEEN ADVISED OF THE POSSIBILITY OF DAMAGES. IN NO EVENT SHALL OUR TOTAL LIABILITY TO YOU FOR ALL DAMAGES, LOSSES AND CAUSES OF ACTION WHETHER IN CONTRACT, TORT (INCLUDING NEGLIGENCE) OR OTHERWISE EXCEED THE GREATER OF $10.00 AND THE AMOUNT PAID BY YOU TO US, IF ANY, FOR OR IN CONNECTION WITH YOUR ACCESS TO OR YOUR USE OF THE PLATFORM, THE SERVICE OR THE PRODUCTS. discontinue the provision of the Service. if that Member promptly notifies us or the Author of the claim and gives the Author the option to control the defense of the claim (at the Author’s cost); then the Author will indemnify the Member against damages finally awarded by a court against the Member or any settlement damages agreed to by the Author regarding that claim. Our involvement, if we choose to get involved, will be limited to acting as the Author’s agent on behalf of the Author. The liability of each Author to Members is otherwise limited, for each Product purchased, to the Author’s compensation from the payment for that Product, except to the extent that the Author’s liability arises from wilful misrepresentations made about the item. provide a statement made under penalty of perjury that the information provided is accurate and that you are authorized to make the complaint on behalf of the intellectual property owner. We will investigate each such complaint and inform you of the decision that we made. If we determine, in our sole discretion, that a Product indeed infringes upon your intellectual property, we will promptly cause the Product in question to be removed from the Platform. Likewise, if you believe that any Product is inappropriate or unlawful, please notify us, indicating the reasons why you believe that the Product is inappropriate or unlawful, and, if we agree, we will promptly cause the Product in question to be removed from the Platform. If we choose not to remove the allegedly infringing or inappropriate Product from the Platform, you agree to only pursue demands and claims against the Member from whom such Product originated and not to direct any claims against us. We are committed to providing a world-class Service and customer service, and sincerely hope that we will be able to resolve most issues that you may have with us without any intermediaries. 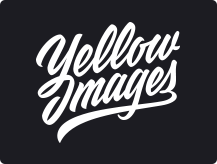 If you have an issue with us, please send us an email at support@yellowimages.com. In the unlikely event that we cannot find a satisfactory solution, you agree to follow the resolution process described below. Before you initiate, join or participate in any formal proceedings against us, you agree to first discuss the matter informally with us for at least 30 days. To do that, please send your full name and contact information, your concern and your proposed solution by mail to us at 501 – 1367 West Broadway, Vancouver, BC V6H 4A7, Canada – Attn: Legal Department with an electronic copy to support@yellowimages.com. We are authorized by Authors to enforce their intellectual property rights in the event of unauthorized use of their Products. You hereby agree to recognize us as the proper representative of Authors for the purpose of any settlement discussions and enforcement proceedings in connection with your use of the Authors’ Products. To be able to download Products, you must open an account with us and become a registered Member. We do not allow anyone who has not reached the age of majority (19 years old in British Columbia) to become Members. If this applies to you, you should ask your parent or a guardian to open an account with us and to become a Member. Then your parent or guardian may agree to allow you to access the Service and the Platform. If you are under the age of majority, you hereby agree that you will not open an account with us in your own name. If we receive actual knowledge that any Member is under the age of majority, barring exceptional circumstances, we will as soon as practical delete such account and discontinue that Member’s access to the Platform and Service. In order to download Products, you are required to open an account with us and become a registered Member. To create an account and become a Member, you will need to use your real first name, last name and email. must not be a name that we, in our sole discretion, deem otherwise inappropriate. We reserve the right to demand that you change your Display Name, User Name, Avatar, or any other public user data (“User Data”) at any time. Your User Data with us does not grant you a proprietary right of any kind in that data. If you choose to use your trademark or your business’s trademark as User Data, you hereby grant us a license to display such trademark in a manner that we display all other User Data of the Members. Similarly, if you choose to use your personal name as your User Data, you hereby grant us a license to display your personal name in a manner that we display all other User Data of the Members. You hereby grant us permission during the term and after the termination of you being a Member to mention you and your business as one of our clients, and as such you grant us permission to display your and your business’s name, brand name, or logo. Additionally, you grant us permission and a non-exclusive, perpetual royalty-free license to reproduce and display derivative works you created using the Products as part of a portfolio we may make available on the Website. All registration information you submit must be accurate and updated. If any of your account information changes, including your contact information, you have an obligation to promptly update us on it by submitting the revised information on your account page. Please keep your password confidential. Because you are responsible for all use of your account, including unauthorized use by any third party, please be very careful to guard the security of your password. Please notify us by sending us an email at support@yellowimages.com as soon as you know of, or suspect any unauthorized use of, your account. Please also make sure to notify us if your registration information changes, in case we need to contact you. You may not transfer or share your membership with third parties outside of your household or your corporate entity. You may terminate your account by sending your termination request to support@yellowimages.com. If you terminate your account, you will no longer be able to access Products. Access to Products is only granted to Members. With the exception of Products that we may offer to you free of charge, your access to Products requires payment, which you can make either using a credit card, via PayPal, or using our internal currency, Yellow Images Credits (“Credits”). Regardless of which payment method you choose to use, you are responsible for your dealings with PayPal or your bank. If you are receiving the Service as a Canadian resident, you will be responsible for paying all applicable value added taxes on top of the amount that will be credited to your account, depending on whether the Canadian province in which you reside assesses HST, GST, or any other value added taxes applicable on one or more occasions to your purchase of Products or Credits. Additionally, you shall be responsible for all charges related to currency conversion, if you are paying in a currency other than U.S. Dollars. You can purchase access to a specific Product using the Platform or the Service. When you choose the option to pay, your account will be charged by the amount indicated as the price of such Product, after which, through the functionality of the Platform or Service, you will be immediately granted access to such Product. We reserve the right to charge a handling fee when you purchase Products with a credit card or via PayPal. If you want to avoid the handling fee, you should consider paying with Credits. We do not charge a handling fee when you purchase Credits or when you pay with Credits for Products. You must have a positive balance of Credits in your account to pay for Products with Credits. When you first register as a Member, you have a zero Credits balance in your account. You may use a credit card or PayPal to purchase Credits. Each Credit costs one U.S. Dollar. The minimum amount of Credits that you may purchase is 20.00 Credits. You can always see the Credit balance in your account by logging in to your account on the Platform. The Credit balance in your account represents the number of Credits that you can choose to use to purchase access to a Product. You can do so only when you have a positive balance with the number of Credits sufficient to purchase access to the specific Product. Credits can only be used to pay for Products and cannot be converted back to cash. Credits expire if not used within 12 months from the date of their purchase, and will be forfeited on the 12 month anniversary of such purchase. If you purchase more Credits at any time during that 12 month period before your Credits expire, the total Credit balance (that is, both the new deposit and the balance of any unused older credits) will become available for a further 12 months from the date of the new purchase. If you don’t use your Credits within that further 12 months, the Credits will be forfeited on the 12 month anniversary of the new purchase. We generally try to tell you beforehand when your Credits are going to expire and be forfeited, but this is not always possible and we don’t promise to warn you. If you are planning to purchase several Assets or Mockups, you may consider purchasing an option to buy Assets or Mockups in the future with up to a 90% discount (“Yellow Ticket”). We reserve the right to introduce, discontinue, or modify certain types of Yellow Tickets in our sole discretion. As a holder of a Yellow Ticket, you are entitled to a discount on as many Assets or Mockups as you may choose to purchase throughout the duration of the Yellow Ticket. As a holder of a Yellow Ticket, you get a 90% discount on all Mockups. Your discount (up to 90%) on Assets is set by Authors in each individual case. Your Yellow Ticket does not entitle you to any discounts for Objects. You may consider getting an Images 360° Subscription (see below). Yellow Ticket discounts cannot be combined with any other discounts we may offer. A single Yellow Ticket cannot be used with multiple accounts. Multiple Yellow Tickets cannot be activated with one account at the same time. As a rule, we do not take requests for creation of custom Products. As a holder of a Yellow Ticket, you may be entitled to place such request. However, being entitled to place a request does not guarantee that your request will be fulfilled within a certain timeframe or at all, and we hereby disclaim any liability should your expectations not be met. If your request is fulfilled you may purchase the newly created Product as usual. You do not have any exclusive claim to such newly created Product, and any other Member may purchase it as well. When you upload any images or other content as part of your request for us to create a custom Product, you represent and warrant that you are the rightful owner of intellectual property in respect of such images or content or that you are duly authorized by such rightful owner. When you place your request, you will be deemed to have granted to us a license to alter the images and content you upload, to create derivative works thereof, and to upload and distribute the resulting custom Product through the Platform. The copyright and other intellectual property in the resulting custom Product will be owned by the Author or such other person who will have created the custom Product, even though the custom Product is a derivative work based on the images and content you may have provided. You agree to defend, indemnify, and hold harmless the YI parties from and against any and all liabilities, claims, damages, expenses (including reasonable lawyer fees and costs), and other losses arising out of or in any way related to ownership of the images and content you upload as part of your request or the custom Products based on such images or content. Yellow Tickets cannot be cancelled, refunded, or converted back to cash. Instead of purchasing Objects individually, you may consider buying one of our subscriptions that will allow you to access and use all our Objects (“Subscriptions”). Please note that the purpose of having a Subscription is for you to save on multiple Objects that you actually need, not to let you download all Objects that you think you might need some time in the future. We reserve the right to terminate your Subscription without a refund if we notice suspicious batch-download activity from you. All sales are final. Because of the nature of Products, unless the Product you purchased is materially different from the Preview, even if you are not fully satisfied with your purchase, you will not receive a refund. Please do your research before you make a purchase. Please consider the suitability of your chosen license and evaluate the Previews. If you need any additional information about a Product that is available for purchase, please contact the Member who uploaded the Product. If you feel your situation warrants a refund, send us an email at support@yellowimages.com. Do not lodge a dispute with a payment agent (such as PayPal or your credit card issuer). If you lodge a dispute with a payment agent, we will suspend your account with us until such dispute initiated through the payment agent is resolved. We do not offer a price guarantee or a price change guarantee. We may change the price on any of the Products we offer through the Platform or Service at any time without notice. You are not entitled to a refund if you purchased a Product and we subsequently lower the price for the Product or if we decide to make the Product available free of charge. you have purchased a License to use such Products as defined below. When you pay to download a Product, you do not become the owner of the Product or the intellectual property associated with the Product. You are purchasing a right to use the Product limited by the terms of the license that accompanies your purchase (the “License”). Except in exceptional cases, we do not own intellectual property on the Products either, the Authors do. We act as the agent for the Authors in their dealings with you. For greater clarity, in most cases, the License is between you and the Author of the Product that you purchase. All guarantees of ownership and authority that we provide to you during the transaction are provided to you on behalf of the respective Authors. For those Products in respect of which we do own intellectual property, we will act as the licensor. To the extent License terms for Mockups and Assets are different from License Terms for Objects, such terms are explained separately below. Some Products may contain images of people or brands and may be offered for editorial use only. Products marked with “Editorial Use Only” tag will be subject to special terms set out in the Editorial Use section below. The remaining provisions of this Section cover all types of Products. You may use the derivative works you create from the Products as illustrations on websites, marketing materials, advertising campaigns, videos designed to promote you or the business, causes, products, or services of your own or of anyone else. But your derivative works may not constitute the only or main value of the product being sold. In other words, you may not offer your derivative works for sale. You may not use Products as part of your derivative works when such use is made in pornographic, defamatory, or deceptive context, or in a manner that could be considered libelous, obscene, or illegal. You may use the Products, including as part of your derivative works, without mentioning the name of the Author who created the Product. The actual terms of the License will accompany each of your purchases. In case of a discrepancy between the terms of the License accompanying your purchase and those set forth herein, the terms of the License accompanying your purchase will prevail. You shall not either directly or through the use of any device, software, internet site, web-based service, or other means remove, alter, bypass, avoid, interfere with, or circumvent any copyright, trademark, or other proprietary notices marked on Products or any digital rights management mechanism, device, or other content protection or access control measure associated with Products, including geo-filtering mechanisms. For Mockups and Assets, we offer two types of Licenses you can choose from, Standard and Enhanced. Compare them at https://yellowimages.com/licenses/. Both types of Licenses are non-exclusive, perpetual, and worldwide. Both types of Licenses allow you to create derivative works based on the Mockups and Assets, and to use such derivative works in your or—if you are a branding, marketing, or a design agency, your clients’— personal or commercial projects. However, you may not use, sublicense, resell, share, transfer, or otherwise redistribute (including free of charge) the Mockups and Assets you download through the Platform where use or distribution of such items would adversely affect or compete with our ability to offer underlying Mockups and Assets through the Platform. The Standard and Enhanced Licenses differ in terms of authorized number of usages, project budget, number of copies / impressions, number of staff, level of customer support and other features. When you purchase an Object, it will come with our royalty-free license, which means your purchase will cover as many uses of the Object as you need. otherwise for your own personal, non-commercial use (not for resale, download, distribution, or any commercial use of any kind). The permission above includes your right to use individual images from Objects, as they are or when combined with other text or graphics. However, you may not use, sublicense, resell, share, transfer, or otherwise redistribute (including free of charge) the Object or any individual images therefrom where use or distribution of such items would adversely affect or compete with our ability to offer underlying Objects through the Platform. Products marked “Editorial Use Only” are offered under the license you choose during your purchase (Standard or Enhanced license), subject to further limitations set forth in this section. These Products may contain images of people without model releases, private property, famous trademarks, and other protected elements for which special permissions may be required for commercial use or advertising. As an exception we may offer you our Free Trial License terms. With a Free Trial License you have the opportunity to test certain Products that we may offer to you as our demo items (“Demo Items”) free of charge for personal use only. Personal use means non-commercial use of the Demo Items for display on your personal computer, or making image prints for personal use only. You may not charge money, collect fees, or receive any form of remuneration in connection with your use of the Demo Items. You may not use Demo Items to advertise any products or services. You may not upload Demo Items online or use them as part of a website. You may not resell, re-license or sublicense Demo Items. To be able to see parts C and D you should Sign into Your Account. SHOULD YOU EXPERIENCE ANY PROBLEMS, PLEASE CONTACT US AND WE WILL DO OUR BEST TO FIX IT AS SOON AS POSSIBLE. SINCE WE ALWAYS WANT TO FURTHER IMPROVE OUR SERVICES, WE WELCOME ALL FEEDBACK. WE MAY CONTACT YOU TO ASK YOU ABOUT YOUR EXPERIENCES.